The Lincoln MKT invoice price and the true dealer cost are not the same. Note: The Lincoln MKT pricing report below does not include rebates or incentives. 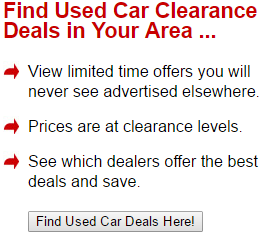 View Lincoln Rebates and Incentives. The 2019 Lincoln MKT is a luxury crossover wagon that provides three rows of seats. The MKT offers an interesting alternative to other large SUVs and family vehicles. The MKT has maintained the same look without a major redesign for nine years. The wagon-like shape makes the car appealing to some family-oriented customers, and the powerful turbocharged engine and a generous list of features makes it an appealing overall choice for buyers. The interior design still bears the same styling of cars a decade ago that separates it from more modern-looking competing models. The 2019 Lincoln MKT is providing more standard features than the previous year's model. The previous V6 engine has been discontinued, and a turbocharged V6 is now standard with all versions of the Lincoln MKT. Some of the available add-on features from previous years are no longer offered this year. The current models of the MKT continue on in the first generation of this SUV that debuted in 2010. The 2019 Lincoln MKV comes standard with a twin-turbocharged 3.5-liter six-cylinder engine that provides plenty of muscle for passing slow grannies on the way to Sunday brunch. The engine produces 365 horsepower and 350 foot-pounds of torque when fed with 93-octane fuel. The MKV goes from zero to sixty in a respectable 6.1 seconds. The EPA rating for the gas mileage of the MKV is 15 mpg and 21 mpg in city and highway driving respectively. The large crossover wagon has nice agility with the standard adaptive suspension, and the ride quality is good on engaging road conditions. The handling and ride of the SUV are very good for its price class. The suspension provides three modes of adjustment that can improve the ride even more. The MKV comes standard with intelligent all-wheel drive that uses sensors to improve traction. The system balances power between the front and rear wheels so that traction is maximized and wheel slippage is prevented. The electric power-assisted steering makes steering more fluid and easy, and the vehicle is more firmly controlled at higher speeds. The MKT has an adaptive suspension that changes according to different road conditions and crosswinds. The 2019 Lincoln MKT has a generous number of standard tech features that make up for the somewhat dated style of the interior. The MKT comes standard with triple-zone climate control and ambient lighting. Navigation is standard in the dashboard, and the infotainment system is controlled via an 8-inch touchscreen digital interface that is enhanced with Lincoln's Sync 3 voice command software. The Lincoln has a unique memory system that sets the positions of seats, mirrors, driving pedals and the steering wheel to preferred configurations at one push of a button. The infotainment system has an intuitive menu design, and the smartphone integration apps for Apple and Android allow the in-dash display to have enhanced capabilities. Safety features of the 2019 Lincoln MKT include blind-spot monitoring and cross-traffic sensors. The Blind Spot Information System uses radar to detect potential hazards that are in your path. The system warns the driver with a light in the side mirror. The radar also detects unexpected problems when backing out of parking spaces. More available features include adaptive cruise control, automatic braking and collision warning technology for the front. The interior design of the 2019 Lincoln MKT was last updated in 2013, so it has a somewhat throw-back feel. The interior is appointed with Bridge of Weir leather upholstery, and a panoramic sunroof is a standard feature. Ambient interior lighting enhances the passenger cabin. Drivers can arrange the seating for either six or seven seats. All three rows are spacious and comfortable in any arrangement. The interior space of the MKT is ideal for most families. The front seats are supportive for long trips, and the ride is comfortable. The optional heated and cooled second-row captain's chairs are a plus, and the third-row seats are cozy. The console is designed all in black, and the layout of the center controls is simple but functional. The 2019 Lincoln MKT has 17.9 cubic feet of rear cargo space behind the third row of seats. The second and third rows of seats are foldable to increase cargo space to 75.9 cubic feet. The slope of the rear hatch can present challenges for large luggage items. The 2019 Lincoln MKT has two available models that include the base model and the Reserve trim package. Both trim configurations come with the same twin-turbo V6 engine that is coupled with a 6-speed automatic transmission. The base model comes with 19-inch alloy wheels, xenon headlights, rain-sensing wipers and a sunroof. The mirrors have dimming capability, and the ignition and doors have keyless access with a keypad input. The base model engine can be started remotely, and the rear has sensors for parking safety. A rearview camera also aids in parking. The base trim package also comes with leather interior, multi-zone climate control, two USB inputs, smartphone integration with the infotainment system and satellite radio. The audio system pumps sound out of 10 speakers for an immersive experience. The Reserve trim offers some upgrades to the Lincoln MKT base model including 20-inch wheels, automated parking technology, advanced adaptive cruise control, warning sensors for forward collision avoidance and lane-keeping assistance. Both trim models can opt for standalone heated and ventilated captain's chairs and a refrigerator console in the second row. 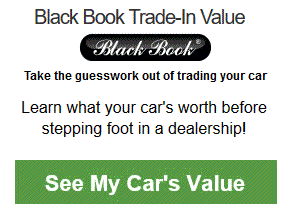 Example: Base Lincoln MKT invoice price + the dealer Invoice price of options + destination - Holdback = Total Dealer Cost. 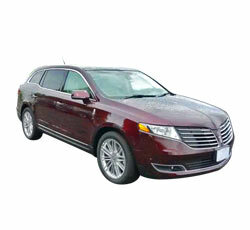 Note: All Lincoln MKT MSRP, invoice and dealer cost dollar figures above are approximate amounts. Prices are subject to change without notice.